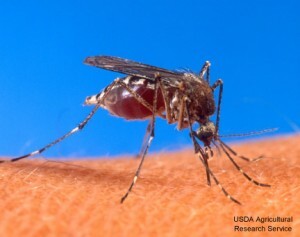 There is news about a serious outbreak of the West Nile virus in Texas and several other states. A new AIDS-like disease has been identified in Asia and the U.S. that is not really understood yet. World powers are alarmed about Syria’s chemical weapons of mass destruction. All of this leads us to consider what the Bible has to say about plagues and pestilences in the End Times . In His sermon on the Mt. of Olives Jesus said that the first phase of the End Times would include pestilences, along with other signs of the times like false messiahs, wars, famines and earthquakes. Pestilences would include wild animals, pests, diseases and environmental hazards. These things have been problems in every age, but in these days there are major concerns about new diseases like AIDS and drug-resistant strains of old diseases like tuberculosis. Radiation from space, radio, television and cellular signals, and nuclear accidents are adding to the growing problem of cancer, which affects most families today. Terrorism and threats of war pose the additional nightmare of injury or death by nuclear, biological or chemical weapons. During the Tribulation, the Book of Revelation predicts even greater world-wide disasters, symbolized by the “Four Horsemen of the Apocalypse” (Revelation 6:1-8). These disasters are a false messiah (white horse), a great war (red horse), famine (black horse), and then rampant sickness and death (pale horse). This entry was posted in Plagues and tagged AIDS, biological warfare, chemical warfare, disease, drug-resistant, pestilences, pests, Plagues, radiation. Bookmark the permalink.